To Otso for Debate: Why Marcos? Why Not Gadon and Chong? 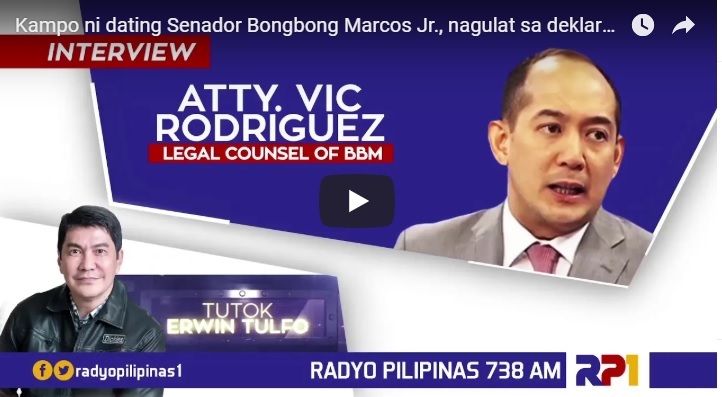 [VIDEO]: NEWS BREAK: Atty. Glenn Chong and Larry Gadon Accepted Otso Diretso’s Debate Challenge. Atty. 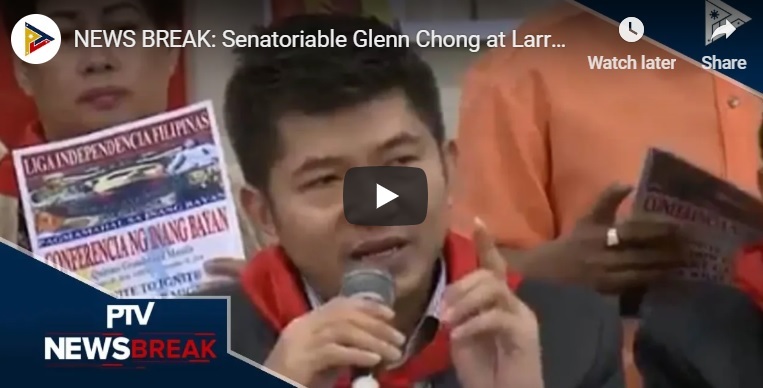 Glenn Chong said that he never says no to any debate. He is always a debater ever since he was in school and a good one at that. He counter-challenges them by giving him the time and venue for the said occasion. Chong ranks in the top 2 of social media popularity together with Gadon. Not to mention the ever famous, Governor Marcos. Gadon is up for Otso Diretso’s debate challenge, provided that only four opposition senatorial candidates would be on the same debate with him. The venue should not be at the University of the Philippines where there is a crowd of communists, according to him. “Are they not busy with their own rally?” Senator Koko Pimentel told the media when asked about the Liberal Party-led “Otso Diretso” opposition slate’s challenge to debate on election issues. Pimentel said that the administration’s PDP-Laban party and their guest candidates are open to debates. But the campaign sorties across the country present scheduling problems. “There is no problem if there would be a debate. I have no problem with that. But there are some like us who are too busy making the rounds that we couldn’t even go back to Manila, said Marcos.” This leaves Otso Diretso members with Gadon and Chong. The people are waiting. A public hearing happens on September 13, 2018. It is a Joint Congressional Oversight Committee on the Automated Election System (JCOC-AES) event at the Senate Session Hall, 2nd Floor, Senate of the Philippines at 10:00 AM which is open to the public. Prior to this, the camp of Vice President Leni Robredo asks the Supreme Court’s Presidential Electoral Tribunal to investigate how the audit logs from Camarines Sur came into possession of lawyer Glenn Chong. 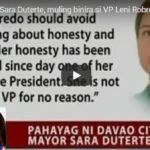 [VIDEO]: Gustong malaman ng kampo ni VP Robredo kung paano nakakuha ng kopya ng audit logs ng Camarines Sur si Atty. Chong. Atty. Macalintal finds it disturbing for Chong being able to get a copy of the audit logs from Ragay. He claims to have no connection to the parties involved. However, on his Facebook page back on March 9, he posted a portion of the audit logs. Furthermore, he even presented them to the Senate committee on a hearing. Moreover, Chong consistently denies being a representative of Marcos. Senator Drilon, however, confronts him for having two authorization letters from the Marcos’ camp. Chong testified under oath that h hot the audit logs from SET. However, Macalintal is saying that Ragay was not covered by the election protest filed by Francis Tolentino before the SET. Consequently, the Commission on Elections did not submit the audit logs to SET. 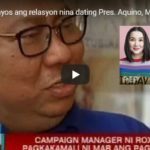 Both Marcos’ and Robredo’s camps were able to obtain soft copies of the decrypted ballot images and audit logs from Ragay, according to Macalintal. 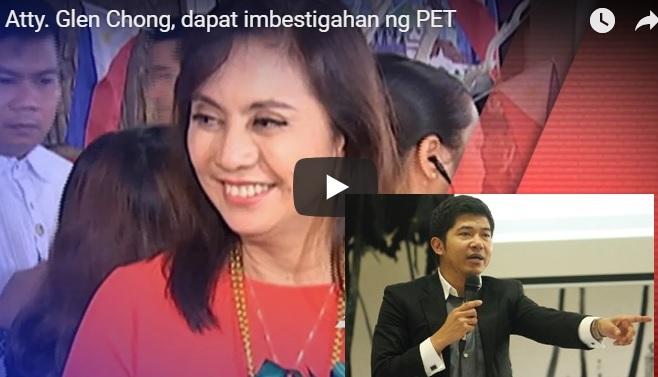 Macalintal is informing the PET that despite claiming to not be a representative of Marcos, Chong still possesses copies of the resolutions of PET and pleadings that were submitted by the parties. Chong was also present during the closure activities of Comelec which Macalintal challenges because only the representatives of the parties were allowed to observe. Furthermore, Chong was even one of the witnesses in the first cause of action of Marcos. Macalintal is accusing Chong of attempting to preempt any resolution of the PET by swaying public opinion through the discussion of the merits of the case on his Facebook. Chong is saying that the first few pages of their 35-page manifesto clearly shows them trying to fool the Supreme Court. They use only select parts of the transcript to make their version believable. This move, Chong believes, is because Robredo’s camp can’t destroy him so they’re trying their chances on the Supreme Court. He is challenging them to bring out all they can on the September 13 hearing. 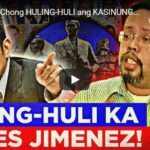 Robredo’s camp is desperate to prove that he is a representative of Marcos so that he will be under the gag order as well, according to Chong. He is saying that they could not fight the knowledge of the fraud in the elections spreading. They may have paid the mainstream media, but they cannot handle the social media, according to Chong. Consequently, they are trying to silence him. The Supreme Court or the PET denies the urgent motion to investigate the unethical outing of the PET revisors with VP Robredo’s representative. It said that the tribunal already looked into it and concluded its probe into the party. This statement from the PET confirms Vice President Robredo’s announcement that the PET had already investigated into the questioned swimming party. Bongbong Marcos is stunned why only Robredo knew about the said declaration. Not even the media knew about its verdict. Marcos questions the propriety of the presence of Robredo’s revisor Osmundo Abuyuan in the outing. He said in his plea that to fraternize with a revisor was prohibited by the PET or the election tribunal of the Supreme Court. It is prescribed in the Code of Conduct for Court Personnel and the Canon of Judicial Ethics. In a resolution dated July 10, 2018, the PET denies Marcos’ motion. It justifies its answer by saying that the investigation is already done. Erwin Tulfo reacts by saying why there’s no update to the public on this regard. Marcos enumerates some of the orders issued by the Supreme Court Associate Justice Caguioa which show his one-sidedness especially when it comes to penalties or fees. Almost all of his rulings are in Robredo’s favor. Nevertheless, Marcos makes it a point to comply and respect its decisions but cannot contain its unfairness. The PET, in the same resolution, also orders the Commission on Elections to file its own comment on Robredo’s motion. It urges for the use of the 25 percent ballot shading threshold in the recount. The Office of the Solicitor General, who represents the government in court cases, disagrees with the position of the COMELEC on the issue and sided with Marcos. The OSG urges the PET to junk Robredo’s appeal and upholds its resolution. SolGen Jose Calida said that valid votes are those with at least 50 percent shading. Lawyer Vic Rodriguez, a spokesperson of Marcos challenges Robredo’s camp to produce an “authentic” CCTV footage. 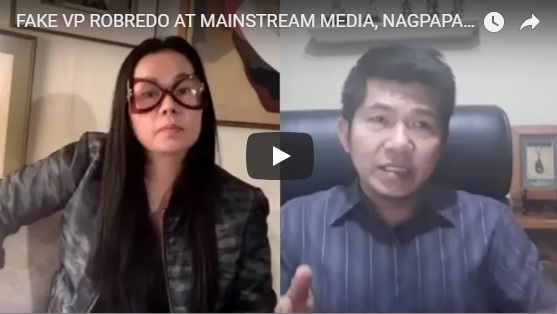 “We challenge Mrs. Leni Robredo to go ahead and produce such footage provided it is authentic and not another product of her many lies,” he said. 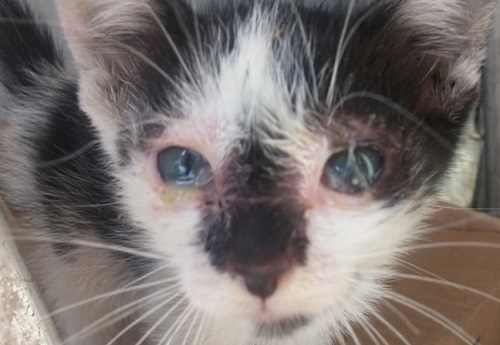 “We have shown pictures of how she has corrupted PET head revisors and pictures don’t lie. To date, all she has are alibis and more lies. She’s already caught and yet she is still making excuses,” he added. Supreme Court Revisors’ Outing: Can they Celebrate with Robredo’s Rep while Leaving Filipinos in the Dark? Atty. 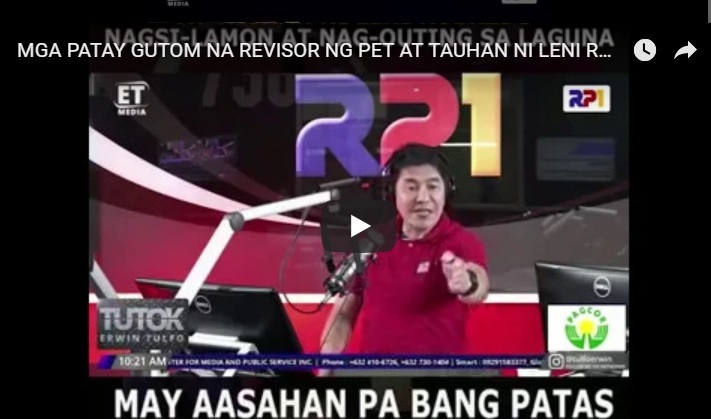 Romulo Macalintal’s lie that the camp of former Senator Bongbong Marcos sent food to their outing with the Supreme Court or PET revisors in Calamba, Laguna meets the fury of Erwin Tulfo on air. In the first place, they do not have the right to celebrate or unwind while leaving Filipinos in the dark with their gag order. Atty. Vic Rodriguez is right to say that the activity violates its own ruling. The camp of Bong Bong Marcos recently asks the Supreme Court that sits as the Presidential Electoral Tribunal (PET) to probe the recent swimming party. Some of the PET revisors or at least Head Revisors who determine the number of votes that can go to either party in the ongoing recount were there. The others were the chief tabulator, alternate head revisor, appraiser and at least six ballot box custodians and their chief. It just happens that a revisor of Vice President Leni Robredo was also present in the said event. There were a total of 24 people from the Supreme Court in the controversial excursion. Marcos learned about the outing through the Facebook account of PET Head Revisor Maria Katrina (Che-Che) Rosales. She posted the photos of the “Pansol outing” on Sunday, June 24, 2018. The picture in her account shows the 24 PET personnel together with Osmundo “Ritchie” Abuyuan who is one of the revisors of Robredo. Marcos added that on July 2, Rosales, in an apparent attempt to “to rectify her mistake of publicly posting the incriminating photos of their ‘Pansol outing’,” deleted the photos from her Facebook account. 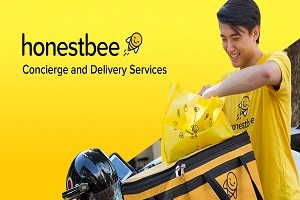 It is prohibited to fraternize with the party revisor for the Protestee by the Tribunal because such act is prescribed by the Code of Conduct for Court Personnel. It is also stated in the Canon of Judicial Ethics,” Marcos said in his petition. The “Pansol outing” implies that Robredo’s camp already has the favor with these PET personnel. That can allow them to manipulate, influence and control the revision proceedings and maneuver the results to her advantage, said Atty. Vic Rodriguez, Marcos’ spokesperson. Protestant Marcos now questions the ongoing judicial recount and revision proceedings. They can’t blame him to think that there can be compromises in the results. Given that the same is done by the very same PET personnel who appear to be in cahoots with the Robredo’s camp. The role of the Head Revisors is crucial in the ongoing revision of votes. This is because they are the ones who preside over their respective revision committees and control the conduct of the judicial recounting of ballots.